Visualize your ball on a railroad track and stay inside the track to stop swinging on an outside plane. Hitting a hard slice or a slow fade off the tee is often cause for consternation when it comes to playing the game of golf. But a slice is often the symptom of what is known as an outside swing. 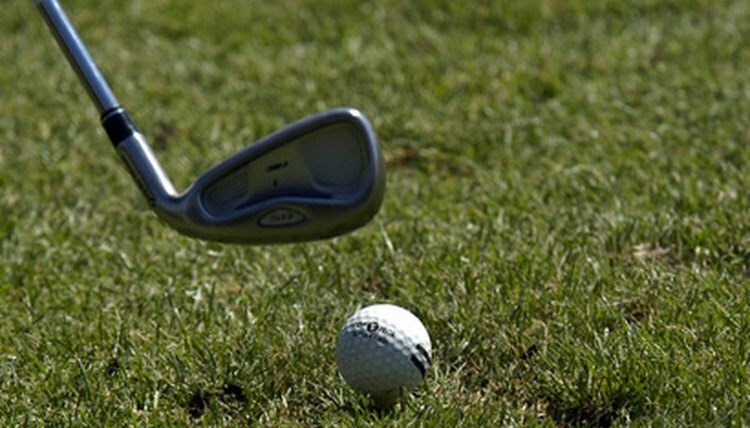 An outside swing is where you start the club head outside of the typical golf swing plane. If the club head stays outside of the plane, you overcorrect at impact in order to make contact. When you do this, you're bringing the club head back inside, causing an outward spin on the ball or leaving the club face open. There's an easy-to-use technique that will get your swing path back on line and have you hitting the ball straight. Line up for address. You can step up to the ball as you normally do. Visualize a set of railroad tracks running from where you are toward your target. The ball is sitting on one of the tracks and your feet are positioned on the other track. As you draw back from the ball, keep your club head inside the track that your ball is sitting on. Stay focused on keeping your club head inside the track as you come down to impact. Have a consistent follow-through continuing the focus on keeping your club head inside the outer track.